Formulated to be diluted with cold water as follows:-2:1 for heavy duty cleaning 5:1 for normal duty cleaning 10:1 for an all surfaces Spray & Wipe Directions for Use Spray directly onto surfaces to be cleaned and then wipe clean with a soft cleaning cloth. New Zealand Food Safety Authority C31 approved for all food areas. 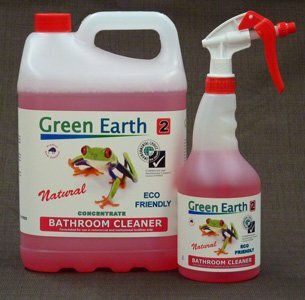 Green Earth Natural Bathroom Cleaner is an environmentally friendly product based on plant and mineral-based biodegradable ingredients formulated to cut through soap scum, hard water and rust, leaving vanities and bathrooms naturally clean. In fact, our natural bathroom cleaner works as well as traditional cleaners. 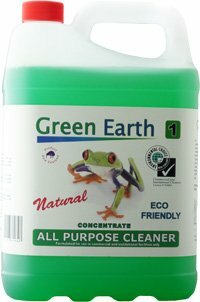 Plus as well Green Earth’s bathroom cleaner contains natural citric acid and anti-bacterial lactic acid for an extremely effective germ kill and lime scale removal. Green Earth bathroom cleaner is tough on soap scum and bathroom dirt whilst the fresh plant based fragrance leaves bathrooms and restrooms sparkling clean! Environmental Choice Certified. Formulated to be diluted with cold water (as per Environmental Choice certification) as follows:-2:1 for heavy duty cleaning 5:1 for normal duty cleaning 10:1 for an all surfaces Spray & Wipe Directions for Use Spray directly onto surfaces to be cleaned and then wipe clean with a soft cleaning cloth. Available in:- 5 & 20 litre concentrates. 750mls spray bottles supplied empty. 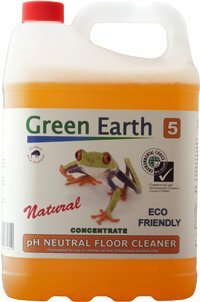 Natural, eco-friendly, green and biodegradable Green Earth Carpet Cleaner Cleans your carpets without leaving anything behind, like harsh chemical fumes or residue. Our natural carpet cleaner is the natural way to get a stain free clean. The biodegradable plant and mineral-based ingredients work as well as traditional cleaners to cut through filmy residue. Use where ever carpeting is found: offices, classrooms, showrooms, hotels, restaurants, museums etc. Environmental Choice Certified. Formulated to be diluted with cold water (as per Environmental Choice certification) as follows:-2:1 for heavy duty cleaning5:1 for normal duty cleaning 10:1 for an all surfaces Spray & WipeDirections for Use Spray directly onto surfaces to be cleaned and then wipe clean with a soft cleaning cloth. Formulated to be diluted with cold water (as per Environmental Choice certification) as follows:- 5:1 for normal duty cleaning 10:1 for an all surfaces Spray & Wipe Directions for Use Spray directly onto surfaces to be cleaned and then wipe clean with a soft cleaning cloth. New Zealand Food Safety Authority C31 approved for all food areas including where food is being consumed. Formulated to be diluted with cold water (as per Environmental Choice certification) as follows:-30 to 60 parts water to one part Floor Cleaner Directions for Use Normally used with bucket and mop, however for small areas a trigger spray pack is often used. New Zealand Food Safety Authority C32 approved for all food areas except where food is being consumed. For all food areas please use our Glass & Surface Cleaner which is NZFSA C31 approved as it has no fragrance. 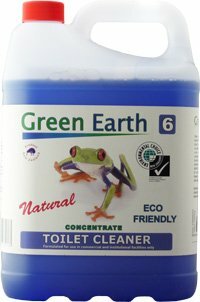 Green Earth natural eco-friendly Toilet Cleaner contains, citric acid plus lactic acid to clean and deodorise. The thick liquid clings to surfaces for longer and removes stubborn rust and mineral deposits. Environmental Choice Certified and Assure Quality certified. 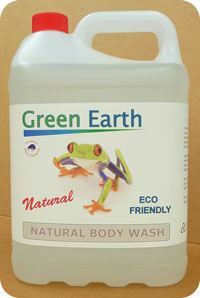 Green Earth Natural Liquid Soap is a gentle liquid soap with almond oil and lanolin to clean and protect your hands. This hand cleanser is free of any harsh chemicals, and softens hands with lanolin. 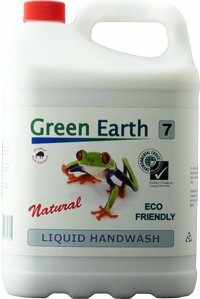 Natural liquid HandWash soap from GreenEarth is tough on grime, but easy on your hands. A totally natural liquid HandWash soap formulated from natural coconut oils, and enhanced with fragrance almond oils. Using warm water apply a small amount of Natural Liquid Soap onto hands and work up a good lather for approximately 15 to 20 seconds. Rinse well and dry. Available in:- 5 & 20 litre concentrates. Formulated to be diluted with cold water (as per Environmental Choice certification) as follows:-5:1 for normal duty cleaning 10:1 for light duty cleaning Directions for Use Normally used in either a 5 litre pressure spray pack or for comercial use a power driven water blaster is used. SANITISATION – Recommended for use in restaurants, dairies, food processing plants and bars. When used as directed this product is an effective sanitiser against Escherichia coli, Escherichia coli 0157:H7, Staphylococcus aureus, Yersinia enterocolitica and Listeria monocytogenes. 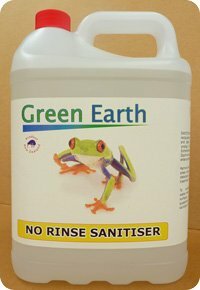 Green Earth No Rinse Sanitizer removes all gross food particles and soil from areas which are to be sanitised with a good detergent, preflush, pre-soak or pre-scrape treatment. Rinse with a potable water rinse. To sanitise precleaned and potable water-rinsed, nonporous, food contact surfaces, prepare a 200 ppm active quaternary solution by adding 10 mls of sanitiser to 5 litres of water. To sanitise immobile items such as tanks, chopping blocks and counter tops, flood the area with a 200 ppm active quaternary solution for at least 60 seconds making sure to wet all surfaces completely. Remove excess, drain the use solution from the surface, and air dry. Prepare a fresh solution daily or more frequently as soil is apparent. To sanitise mobile items such as drinking glasses and eating utensils, immerse in a 200 ppm active quaternary solution for at least 60 seconds making sure to immerse completely. Remove items, drain the use solution from the surface, and air dry. Prepare a fresh solution daily or more frequently as soil is apparent. NZ Food Safety Authority approved all purpose industrial strength cleaner. Sold as a concentrate dilutes 10:1 for general cleaning. 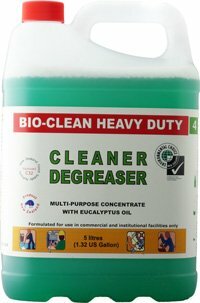 Green Earth BioClean Degreaser removes grease, oils & diesel from driveways, cleans any surface including stoves, bar-b-q’s, engines, floors, walls, toilets, bathrooms, vinyls, carpet stains, bench tops, plastics, glass, boat & car wash. The powerful all purpose cleaner & degreaser with the added cleaning, deodorising and disinfecting power of natural eucalyptus oil. Sold as a concentrate to save you money. Suitable for cleaning almost all surfaces. DIRECTIONS: Dilute with hot or cold water as per ratios listed below. Apply and leave surface wet for a few minutes. Wipe or rinse off. Heavy soils or grease may require scrubbing. Repeat if needed. Always spot test on a hidden area first. Surfaces: Concrete driveways and paths, oil stains, engines, wheels, cooking grills, ovens, BBQ’s, Graffiti, tools mechanical components, general degreasing. LIGHT CLEANING: Dilution Ratio: 1:30 (1 teaspoon cleaner to 4 cups water) Floors (vinyl, tile, wood, marble, terrazzo) painted surfaces, stainless steel, plastics, laundry pre-soak, chrome, and carpet spotting. VEHICLE WASH: Dilution Ratio: 1:100 (half cup of cleaner to 1 bucket of water) Surfaces: Car, fleet and truck wash, boat wash, glass and mirrors, windows & monitors. 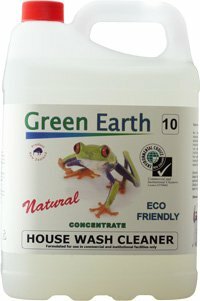 Green Earth Natural Cream Cleanser is a natural based cream cleanser that is extreemly effective at cleaning stainless steel, porcelain, hard surfaces counters and stone bench tops. Orange Cream Cleanser is a non-abrasive cleaner with a fresh orange fragrance. Rinses off surfaces easily without leaving any residue. Ideal for use in bathrooms, kitchens and laundry rooms, on sinks, tubs and tile, stoves countertops, water stains in toilets, pots and pans. Formulated to be diluted with cold water (as per Environmental Choice certification) as follows:-2:1 for heavy duty cleaning5:1 for normal duty cleaning 10:1 for an all surfaces Spray & Wipe Directions for Use Spray directly onto surfaces to be cleaned and then wipe clean with a soft cleaning cloth. For heavily soiled surfaces use neat for best results. New Zealand Food Safety Authority C32 approved for all food areas except where food is being consumed. 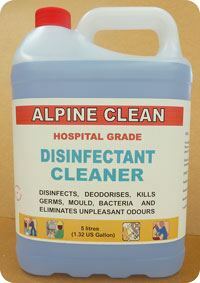 Green Earth Alpine Disinfectant Cleaner Disinfects, deodorises, kills germs and eliminates unpleasant odours. For disinfecting, and deodorising toilet areas, floors, walls, appliances, equipment, swimming pools, drains and garbage containers. 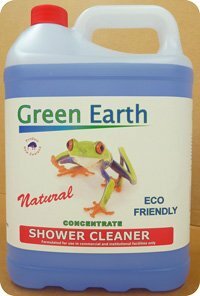 Green Earth Natural Shower Cleaner is an environmentally friendly product based on plant and mineral-based biodegradable ingredients formulated to cut through soap scum, hard water and rust, leaving showers naturally clean. Green Earth’s Shower Cleaner contains natural citric and lactic acids plus plant based detergents for an extremely effective lime scale removal. 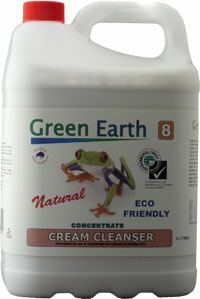 Green Earth Shower Cleaner is tough on soap scum and bathroom dirt leaving showers sparkling clean!. 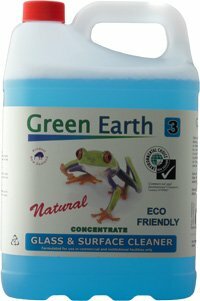 Green Earth White Board Cleaner & Restorer cleans and restores white boards without leaving anything behind like harsh chemical fumes or residue. Our natural whiteboard cleaner and restorer is the natural way to get a though streak-free clean. The biodegradable plant and mineral-based ingredients work as well as traditional whiteboard cleaners to not only remove whiteboard markers but permanent pens as well. Spray on and wipe off with a clean cloth or spray onto a clean cloth and then wipe the board clean. Tip: To help remove permanent pen marks write over the permanent pen with a white board marker before spraying and wiping clean with our white board cleaner. Green Earth Natural Body Wash is a totally natural body wash formulated from natural coconut oil extracts, eucalyptus oil and enhanced with fragrance almond oils. Green Earth Natural Body Wash also contains lanolin to soften and protect your skin. Natural Body Wash is especially formulated for sensitive skins. It is fully biodegradable and is easily applied via soap dispenser units or directly from the container supplied. Apply small amounts of Body Wash to your body whilst in the shower working up a good lather then rinse thoroughly. Natural Body Wash contains lanolin which helps to stop your skin from drying out. How to reduce toilet paper consumption by up to 40% and no mess on the floor? Talk to us about Tork SmartOne Mini Toilet Roll System NOW! 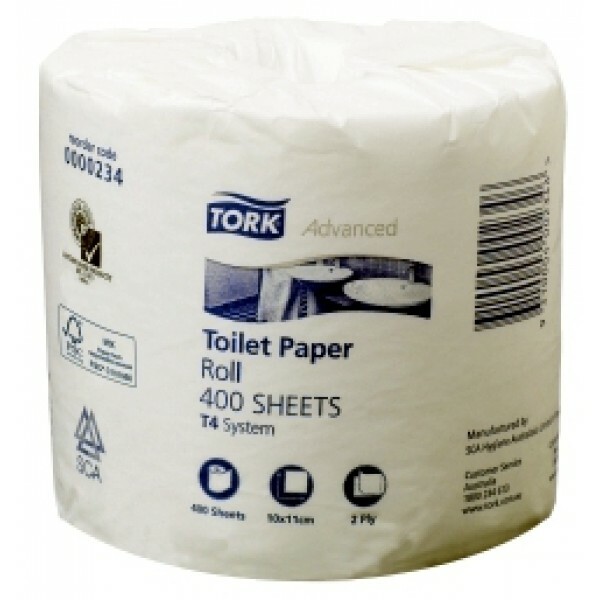 Featured Product: Tork 400 Sheet Toilet Paper Roll – Are you getting the best price? Contact Us NOW! Featured Brand – TORK – Leading Washroom Solutions – Thinking of change? Call us NOW! Like INNOWAY now and you will never miss out our DailyDeals !